Based on a 1986 manga, this is an anime by Nippon Animation airing on Animax and Fuji Television which has spawned a lot of stuff! From 90-92 there was a series of 142 episodes which spawned the movie "My Favorite Song". I believe this is the movie that is seen on the tracker subbed by Seichi who hang out on Efnet on IRC. It was relaunched in 1995 and... this really is upcoming because this anime series is up to 757 episodes and counting, still airing to this day! This could give Detective Conan a run for its money! I'm not sure how long these anime are, like if they are a full 20-30 min as standard or if they might be shorts like Ocha-Ken. *Five distinct requests to reseed it. Due to this, I really thought it'd be nice to have a collective thread for discussing not only the movie, but the preceding television series that inspired the movie to begin with, not to mention the popular 1995 relaunch which there don't seem to be any threads currently discussing at all. Maruko is a pretty cool name, kinda reminds me of Naruko. 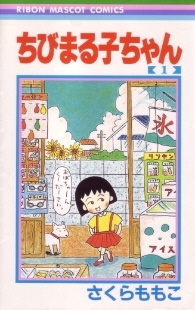 Ah, Chibi Maruko-chan. I saw a few episodes of this before, it's really cute! Only the forum staff can create threads in limited forums. We have limited this sub-forum to help maintain its focus and cut down on noise, i.e. no pointless threads cluttering up the place! If you think a good discussion topic is missing, please let us know by posting in the "Requests for new threads" sticky. Be aware we will only accept reasonable discussion thread requests; see the sticky for more details. Please Note: You can still post replies to existing threads in this forum, the only restriction is that you may not create new threads. You're right, there doesn't seem to be that RFNT sticky, so this is really the only place to do it I guess.